Updated kit with new instructions below. Instructions are online to save trees and postage. Changes include a 1/8" hot-pressed mahogany transom reinforcement visible from inside the hull, and a ribbed reinforcement with six gluing clamps for the bow-end of the deck for a stronger hull. Length: 19-15/16 in. Beam: 7-3/8 in. 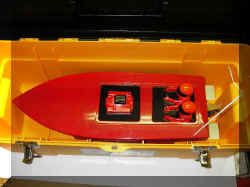 Weight: (Finished boat + standard receiver, servo, and speed control) 25.6 +/- ounces, without battery. Click on all framed photos to enlarge. New Reinforcement for the forward deck is now included. Toolbox that will store and transport the Vac-U-Cracker. Click HERE for 222 Photos of 2006 SAW'S IN VALDOSTA GEORGIA. To save a few trees, the instructions can be downloaded here. Instructions will be mailed with the kit if requested. Here they are: Printed instructions are in black & white. This is a PDF images of the instructions and a Tips & Tricks page. To download and review, click the thumbnail below. You will need Acrobat Reader on your computer to open the files. 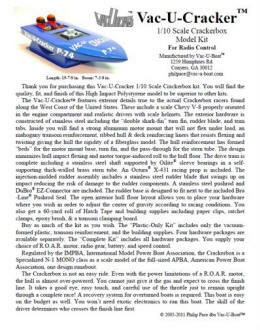 12 pages of easy-to-follow instructions including 114 photographs, a 12-Piece expertly-crafted white High-Impact-Polystyrene vacuum-formed plastic hull including a unique hull liner that combines with the hull to form a lightweight, sharp-edged, rigid hull, a pre-cut Mahogany Ply Transom Reinforcement, two pieces of custom-manufactured Velcro to attach radio, esc, and battery to the hull, a plastic Antenna Tube, building supplies including 20 large paper clips, sand paper, emery cloth, epoxy brush, paint-stirring stick, and a pair of really cheap ratchet clamps. An improved hot-pressed mahogany plywood transom reinforcement replaces the original PVC one. The kit no longer includes a roll of hatch tape because my stock tape doesn't have the shelf-life I was told it would. It is better to buy fresh electrical tape (clear or colored) from your local hardware store. 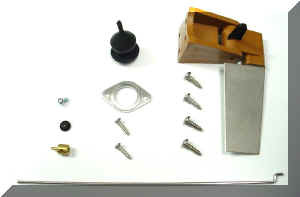 The "Vac-U-Cracker™ Complete Kit" also includes the following hardware packages. Thick-wall six-inch brass Stern Tube with Oilite® Sleeve Bearings pressed into each end, a 1/8" diameter stainless steel Prop Shaft, an Octura® X431 Racing Prop, a brass Drive Dog and Prop Nut, a 1/8" Aluminum Shaft Coupling with 2 set screws and 2 hex wrenches, and a 1/8" all stainless steel Ball Thrust Bearing. Bronze polyethylene injection-molded "Tilt-Up Blade" Rudder with a Stainless Steel blade designed for use with the included Bru-Line™ Pushrod Boot. (Visible blade is 2 inches high x 3/4 inch wide at the bottom and 1 inch wide at the top. 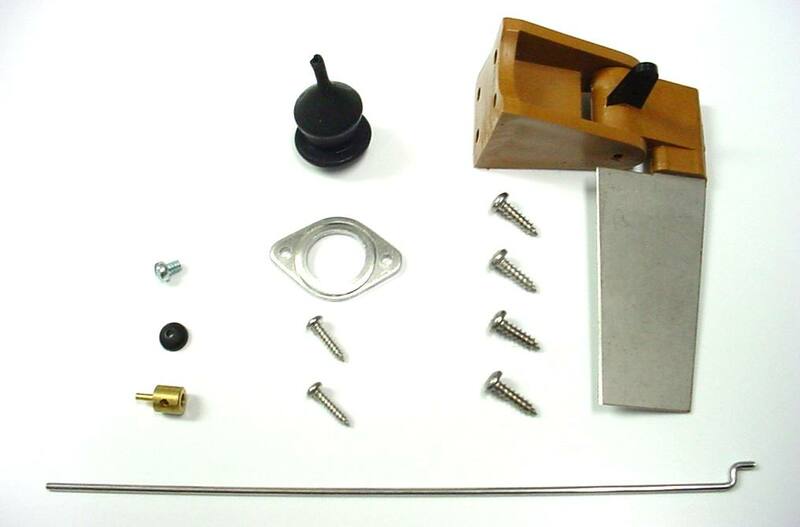 Includes 4 stainless steel mounting screws, a stainless steel pushrod, and a Du-Bro® "EZ-Connector. 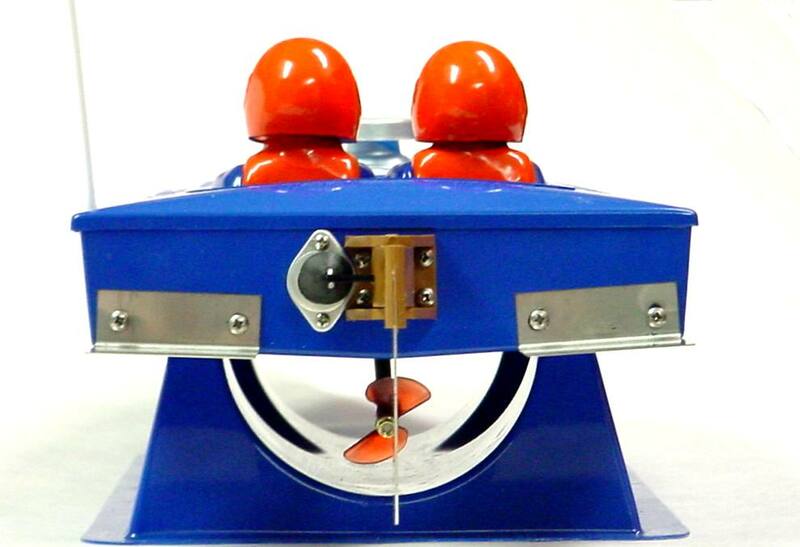 A wonderfully-crafted stainless steel "double shark fin" Turn Fin, two mirror-finish stainless steel trim tabs with oval mounting holes for adjustment, and four stainless steel mounting screws. Tab bottoms are 1-3/8 inches deep and 1-3/4 inches wide. Tab top mount is 5/8 inches high. Screw holes are 1-1/4 inches on-center. 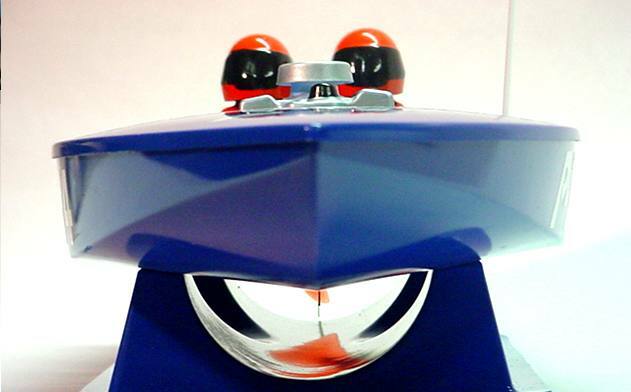 Turn Fin blades are 7/8 inches tall and 1-5/8 inches long at the top. 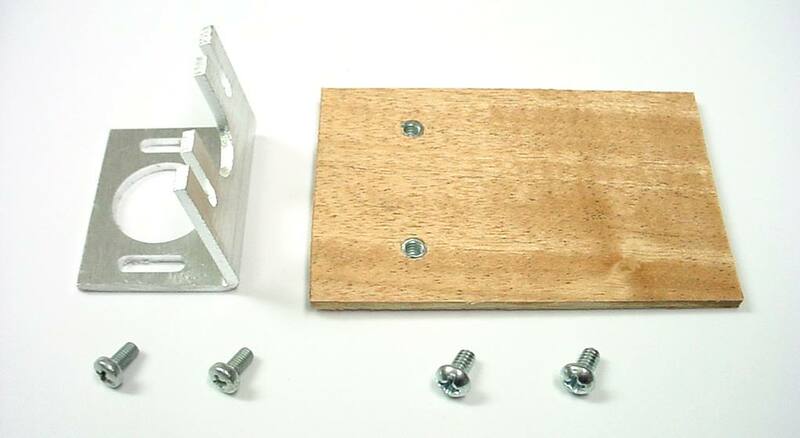 An 80-degree 3/32 inches thick aluminum 550 motor mount (50% thicker than other mounts), a 2 inch x 3 inch x 1/8 inch marine plywood base with pre-installed 6-32 T-Nuts, 6-32 Mount Screws, and M-3 Motor Mount Screws. 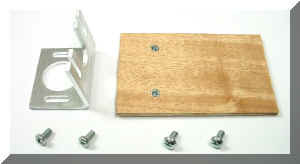 Vac-U-Cracker™ Hatch-Stand Assembly now separately available. Part # CB108. 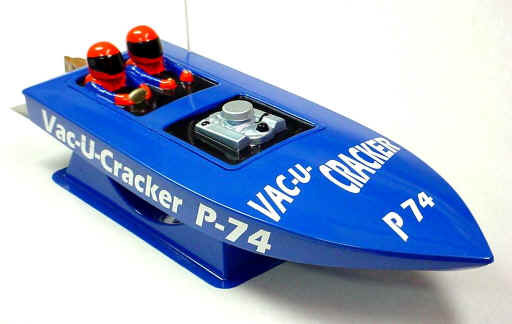 Use in your scratch-built 1:10 scale cracker box. Includes Stand, Hatch (Drivers & Motor), assortment of seven air intakes, three drivers heads with three neck-mounts. Hatch has a slight curve left to right. Trims to 4-1/2 inches X 9-7/8 inches.